If you are hired as a correctional officer, you will have to go through a training period before you can begin working in a facility. 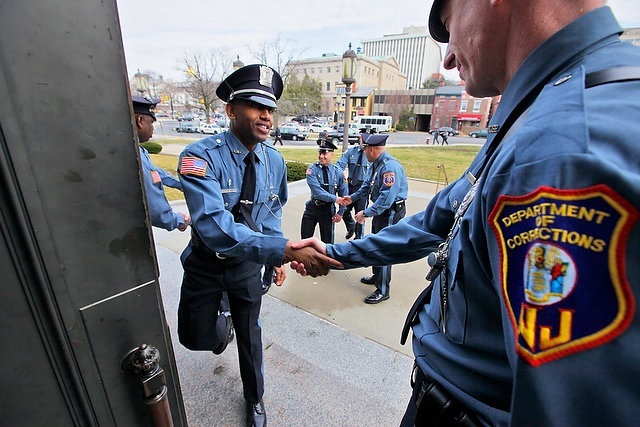 In local and state facilities, you’ll train at the nearest police academy. 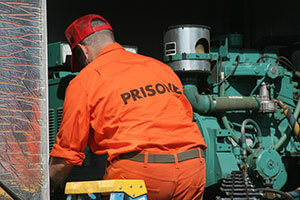 For those who are employed with the Federal Bureau of Prisons, you’ll spend time at the Staff Training Academy, which is located in Glynco, Georgia, and is a part of the Federal Law Enforcement Training Center. The training you’ll receive at both of these facilities will be somewhat similar, although those who wish to work at the Federal level will receive longer and more intensive training. Your first academy training course will be an introduction and overview of corrections and what it means to work in the corrections field. You’ll learn about basic job requirements, the ethics of corrections, and the laws that govern your job. How corrections officers fit in and impact the criminal justice system will also be discussed. 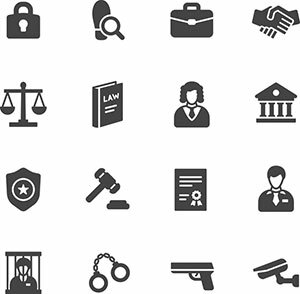 Most criminal justice courses focus on the basics of the criminal justice system in the US. Coursework will include the development and current status of the system, its issues, its challenges, and the basic terminology used by those in the field. You will learn about the different types of agencies that enforce the law, including the police and state and federal correctional systems. 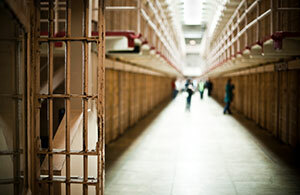 Communications covers everything from talking with inmates to writing reports. You’ll learn interpersonal skills and how to give directions to inmates in a firm manner, how to communicate with your fellow officers and supervisors, and how to speak to guests at the facility. You’ll also work on developing a writing style that clearly and concisely presents information. Many communications courses also touch on subjects such as mediation, intervention skills, arbitration, and how to interact with others in a professional and safe manner. This course will teach you about the rights inmates have and how to be respectful of those rights, while also firmly directing the inmate. You will learn how to provide direction without violating inmate rights, as well as how to report what you believe are violations. Many correctional officers carry firearms while on the job. This practical training workshop will teach you about the various types of firearms you may encounter, and how to use them safely. You will also be trained on the type of firearm you will personally carry. This training includes spending time on the firing range, learning how to clean and care for the weapon, and learning how to properly discharge your weapon should the need arise. This course teaches practical maneuvers you will use in the event of a physical assault from an inmate. You’ll learn how to defend yourself, how to take down the assailant in a quick and efficient manner, and how to restraint the assailant(s) until assistance arrives. This part of your training will focus on how to transport prisoners from one area to another. It includes the proper procedure for walking an inmate from one area of the facility to another and what to do if the inmate attempts to flee. It also covers the proper procedures for transporting an inmate to and from the correctional facility, including the proper way to transport an inmate via a vehicle. This course focuses on the rules and procedures you must follow on a daily basis. It includes how you search an area or an inmate, how the intake process works and how inmates are released. You’ll also learn what to do in the case of a lockdown, inmate fight, or potential inmate escape. The security procedure course also discusses security concerns, dealing with contraband, and how to recognize and handle an inmate who is attempting to deceive or manipulate you or a fellow officer. The facility policies and personal care part of your training includes all of the different policies that haven’t been covered in other parts of the course. It may touch on topics such as sexual harassment, and the psychology of being a correctional officer. 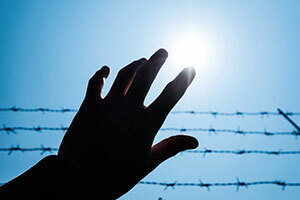 You’ll learn how to get help if you are feeling overwhelmed and how to handle any conflicting emotions you may feel about an inmate or inmates. You may receive other types of training as well, including first aid training and advanced self-defense, depending on the academy. If you’re training to work at the federal level, you can expect to spend additional time learning federal regulations and guidelines.